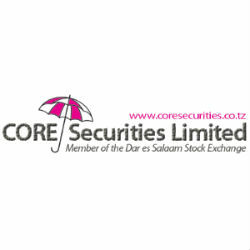 According to the Weekly Market Report of the week ended on 19th April 2013 issued by CORE Securities, a leading Tanzanian licensed stockbroker, the Dar Es Salaam Stock Exchange (DSE) total turnover decreased by -47% to TZS 2,130.05 Million (USD 1.309 Million) from TZS 3,999.4 Million (USD 2.466 Million) the week before. Both local and foreign investors participated in the market. Foreign Investors participated by 44.83% while Local Investors by 55.17%. The Market Commentary shows the DSEI (ASI) and TSI were flat edging UP by +0.54% and +2.17% to 1,532.98 and 1,630.68 respectively, compared by 1,524.77 and 1,595.97 of last week. Most of activities were seen on NMB, CRDB, SIMBA and TWIGA counters. No T-Bills action recorded during the week, the auction on these securities was done on 10th April2013. A five year T-bond worth TZS 4.0 Billion (USD 2.459 Million) recorded in secondary market, no T-bond of 2,7 and 10 years recorded in secondary market. Spot gold was down to -11.81% to 2.292 Million (USD 1,409.16) per ounce (1 ounce = 31.10 grams) on Friday 19th April. Moving on to the Exchange Rate section, in comparison to previous week, the shilling lost ground against the EUR, USD, UGX and KES while gained on ZAR and GBP.